All our best strategies, plans, projects, initiatives, etc. will all come to nothing and fizzle out, if we, as educators (Yes, I am also talking about teachers AND administrators) are NOT engaged as leaders and learners. 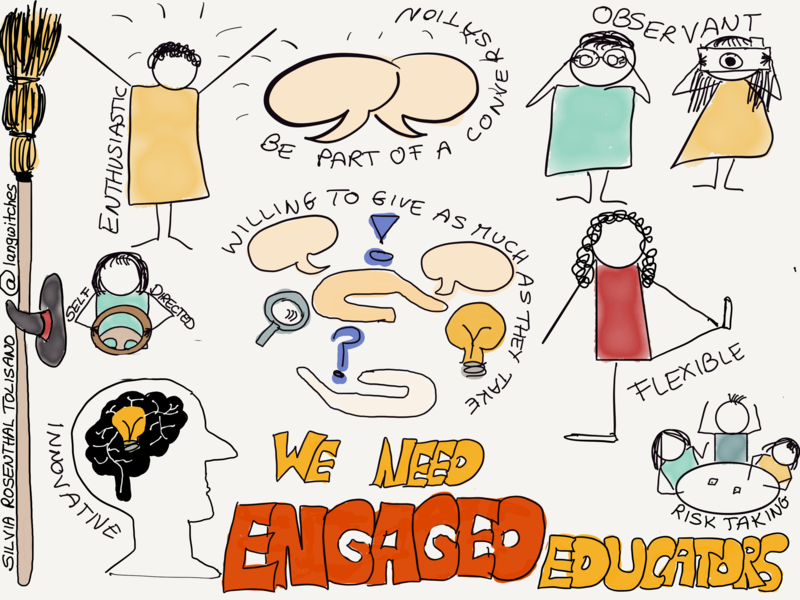 Are you engaged as a leader and learner ? I meet many educators around the world, virtually and in person… Many times, I am still amazed at the resistance to new ideas, change and willingness to apply the learning they expect of students to their own learning. 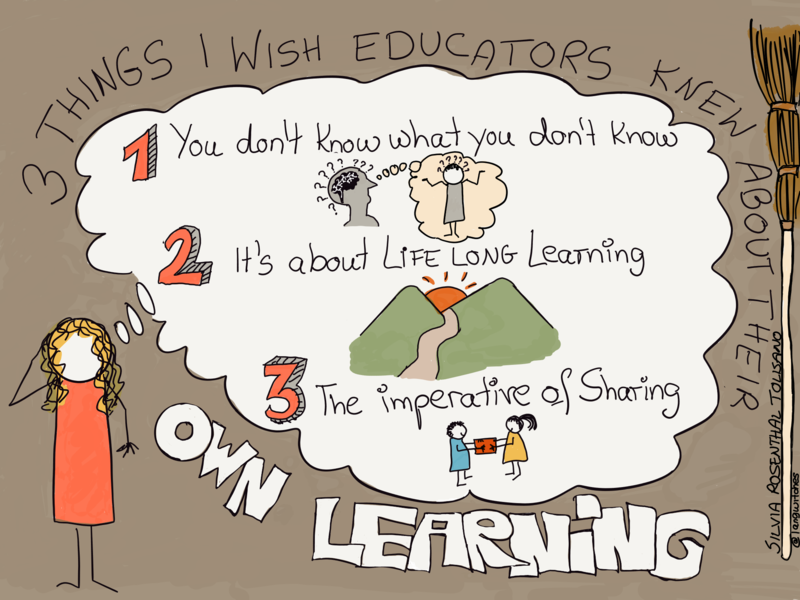 Here are the 3 things, above all, that I wish educators knew about their own learning. The understanding that we don’t know, what we don’t know! How can we be resistant to pedagogy, tools and strategies that we have never experienced for learning ourselves? How can we try out new forms of teaching and learning, if we are not even aware they exist and play a vital role in the lives around us? How can we be dismissive of the potential outcomes in learning, if we don’t walk the walk? The understanding that it is about life long learning. Being an educator means being in the business of learning! Having completed a formal degree or having received a certification, does not mean the world around us is at a stand still and our knowledge will continue to serve us in the present and future. It is possible and even likely that an educator could be classified as “illiterate” for the 21st century, if they were to stop learning and feel satisfied with their 20the century education. The understanding that there exists a moral imperative of sharing as an educator. If no one were to step up to share, social media, crowdsourcing or personal learning networks (PLNs) would not exist. Along the way participants received the assignment to practice their skills by building their visual vocabulary. What are some concepts that you are passionate about, that you would, most likely, be trying to make your thinking visible? How would you be able to represent these concepts? 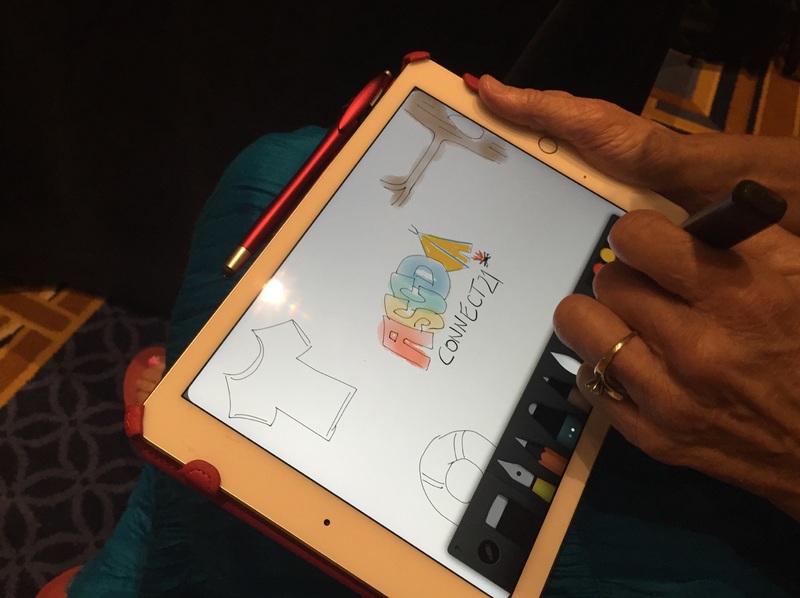 Participants were encouraged to practice throughout the rest of the conference their sketchnoting, in order to be meta-cognitively aware of their own thinking process as they were taking visual notes? 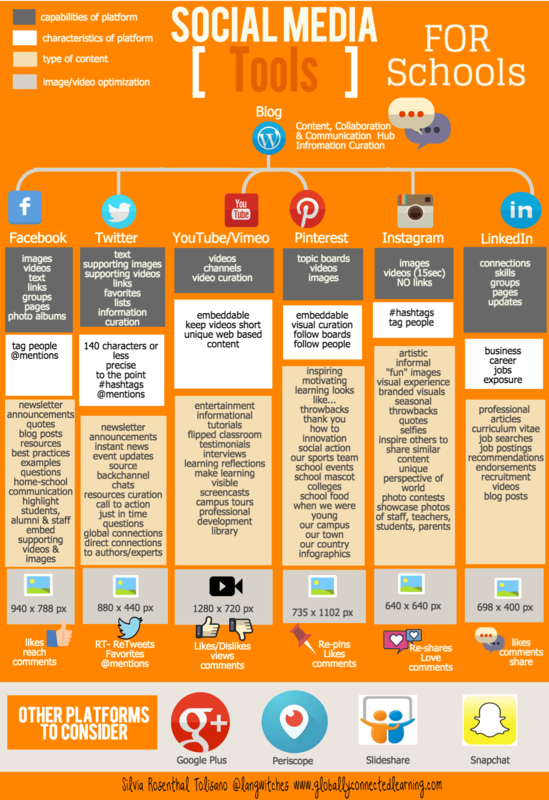 A previous post was focused on developing shareable content FOR schools via social media, I have taken a step back to look at the bigger picture and the different components schools need to consider and gain fluency in order to best harvest the power of social media for them. 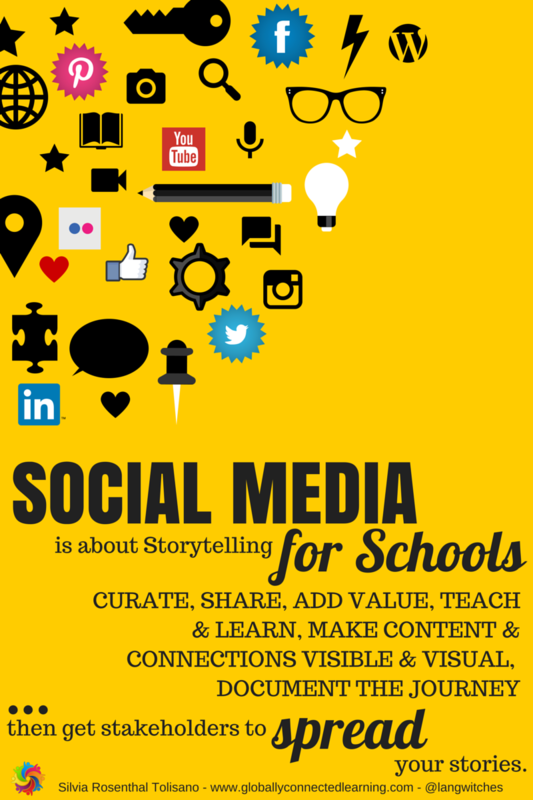 While social media in schools deals primarily with policies around how to use (or not use) social media in the classroom with students, social media for schools is about storytelling and getting their stakeholders (teachers, students, administrators, parents, community) to spread these stories. 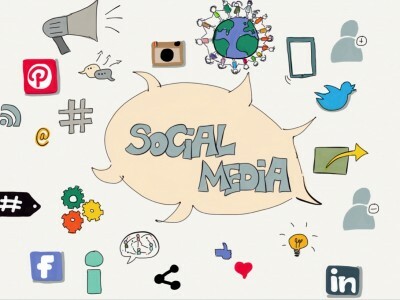 Can Social Media Have a Role to Play in Managing a Successful Classroom? As in previous posts in the series, I am examining the prompt from a semantic point of view and ask myself immediately: What do we consider ” managing a successful classroom” (and even what does it successful mean)? I also stumbled immediately over the word “CAN” and cringed when I wondered if it could say “Should” or “Must”? Semantics aside and out with an easy and short response: YES, social media can play a role in a successful classroom. Maybe a better question would be: Why is Social Media not playing a larger role in managing successful classrooms? 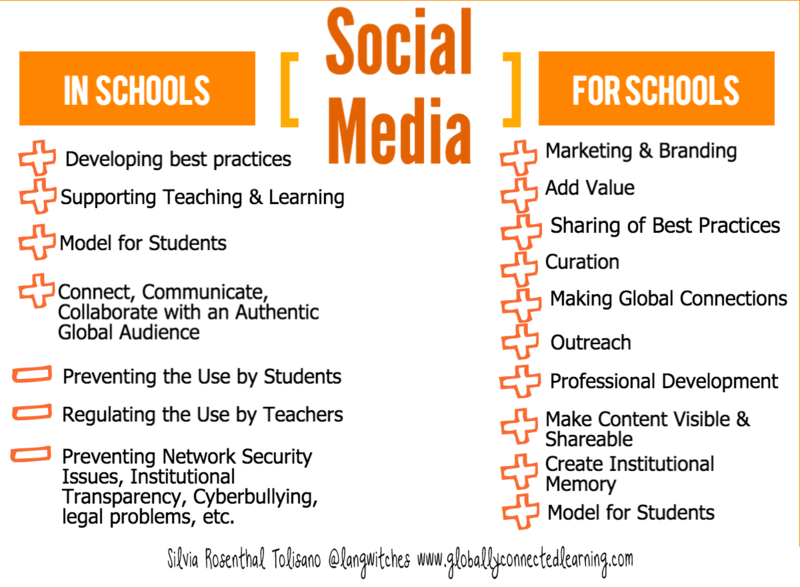 Social Media is one venue (of many) to LEARN… why should it not play a role in our schools? 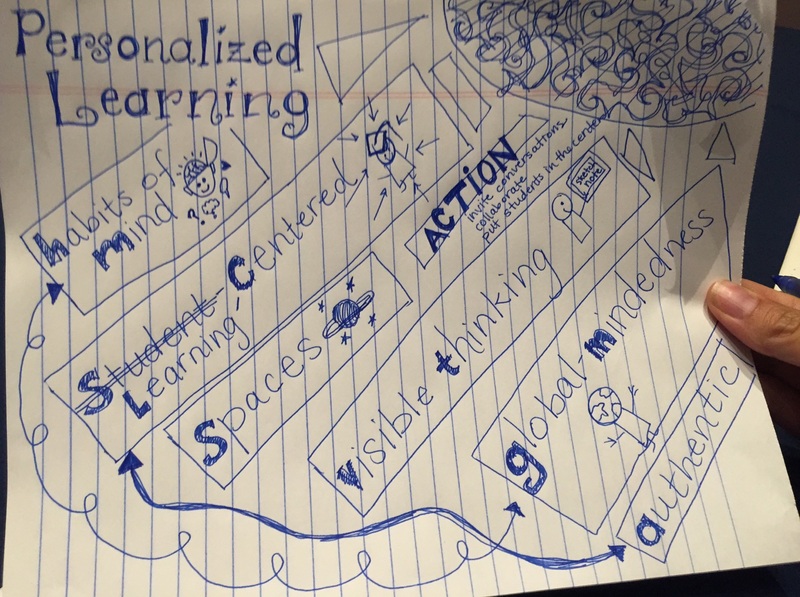 Our students are gravitating (on their own) to Social Media for learning on their own terms outside of schools… why should we not take advantage of that for their learning in schools? Learning for the 22nd century increasingly means being social and connected… why should we not take advantage of the platform to support that kind of social and connected learning ? Social Media adds so many layers of depth to traditional learning strategies to include modern/now literacies… why would we not want to expose, facilitate and support our students in becoming literate in the area of global, network, media, information literacies and digital citizenship? Information has changed our lives. The way we have access to it, the way we filter it, the way we consume it, the way we need to evaluate it, the way we produce it, the way we disseminate it. Social Media plays an integral part in the way information flows in our daily lives… why would we not give the learners in our classroom the opportunity to play, experiment, touch, mold, nurture, take apart, put together, create, disseminate, connect and learn to live and thrive in a world of exponential growth of information? Why are we not preparing our students with the critical skill of searching, not just information, but people trough our human networks. 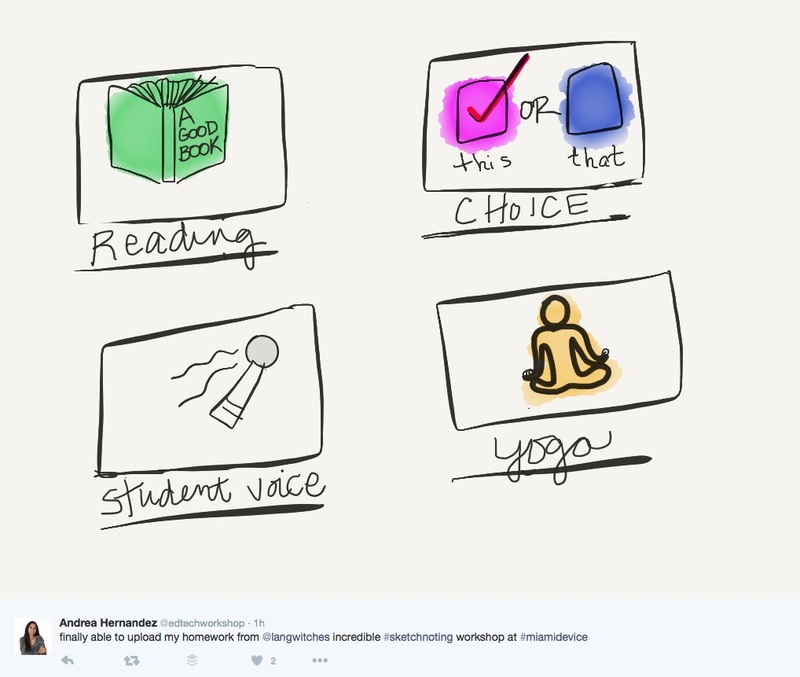 The lines between our lives and “digital lives” are blurring at an accelerating speed, just as the difference between citizenship and “digital citizenship” is becoming hazier… why would we not embed authentic learning opportunities in our classroom to foster positive citizenship (analog and digital)? I was lucky to have shared my childhood bedroom for a few years with my grandmother, when she had come to live with us after an illness. At bedtime, she would tell me stories of her parents and three brothers and growing up in East Prussia, fleeing to the West after WW2 and the things that occupied her mind. I was hooked on storytelling. The fascination grew when technology became available and opened up possibilities that were just not possible before. I would give anything to have been able to record my grandmother’s stories and have shared them with my own children years later. Humans are natural storytellers. It has been THE FORM of passing on knowledge from generation to generation. Storytelling existed in some shape or form in all civilizations across time. In the 21st century, which we have the luck to live in, Digital Storytelling, has opened up new horizons, inconceivable without the use of technology. Storytelling is evolving, as humans are adapting, experimenting and innovating with the use of ever changing technology, the growth of human networks and our ability to imagine new paths. Maybe as part of a natural process, we tend to stick first to the familiar and “substitute” our task (see Ruben Puentedura’s SAMR model). Substitution is not enough to explore and experience the potential of digital storytelling. Smartphones and other mobile devices have made the ease of filming, recording or taking images easy, available anytime & anywhere as well as relatively economical compared to earlier times. The amount of media that is being created and uploaded per minute is exponentially growing and mind blowing. Although there is value in contributing your perspective to a larger pool, the emphasis of the stories we share through different media is about creating meaning and about making that meaning visible to others, not about the act of creating the media itself. Digital storytelling is not only about telling the story, but tapping into the potential of being a contributing perspective, example, unique experience to a much larger story. The question grows from “How can I tell my story?” to “How does my story fit in and add value to the stories of others?”. How do we create a much larger story comprised of individual stories? It is a powerful realization that we all have something valuable to share with others. Digital storytelling takes that isolated story, living in our thoughts, potentially shared with people we know or meet face to face and connects it with a much larger community. In 2003, after The Earth seen from the Sky, Yann Arthus-Bertrand, with Sybille d’Orgeval and Baptiste Rouget-Luchaire, launched the 7 billion Others project. 6,000 interviews were filmed in 84 countries by about twenty directors who went in search of the Others. From a Brazilian fisherman to a Chinese shopkeeper, from a German performer to an Afghan farmer, all answered the same questions about their fears, dreams, ordeals, hopes: What have you learnt from your parents? What do you want to pass on to your children? What difficult circumstances have you been through? What does love mean to you? “Looking for Stories” is an online documentary web serie where Joan Planas (filmmaker) document stories from people and places around the world using video, photography and articles. We don’t judge the stories. We show them respectfully just as they are, trying to gain a better understanding of the world we live in. Through social media, our potential connections, collaboration and dissemination paths can reach exponential levels. The reach of our voices is about the amount of people our stories are capable of touching. We have moved from an audience of one or a few in a face to face environment to a global audience through synchronous and asynchronous tools. Even young children (with the help of parents or teachers) can find their voice and be heard! Traditional limitations of age, physical handicaps, financial limitations preventing traveling or a lack of social network connections in the physical world, don’t have to limit someone’s voice any longer. strategically sharing it publicly, I was able to amplify my grandfather’s story/experience and voice past his lifetime. Taking an analog story, which is written in text form on a physical piece of paper, told with printed visual material or with a voice to someone sitting in the same room as the storyteller and digitizing it with the help of tech tools does not take advantage of the full potential of digital storytelling. If we are truly looking to transform what stories are and can be in the digital world, we need to look beyond recording a story from a piece of paper or animating our photos from a field trip into a music video. We could dip into the world of transmedia storytelling and look how audience participation, seamless movement between different media can propel a story forward, engage the audience on multiple layers and change the storytelling process altogether. Inanimate Alice is an interactive multimodal fiction, a born-digital novel relating the experiences of Alice and her imaginary digital friend, Brad. The series is written and directed by Kate Pullinger and developed by digital artists Chris Joseph and Andrew Campbell from an original idea by series producer Ian Harper. Episode 1 was released in late 2005. There have been five consecutive episodes created to date with a sixth in production, from a planned story arc embracing a total of 10 episodes spanning Alice’s life from age 8 through to her mid-twenties. The viewer experiences a combination of text, sound and imagery and interacts with the story at key points. 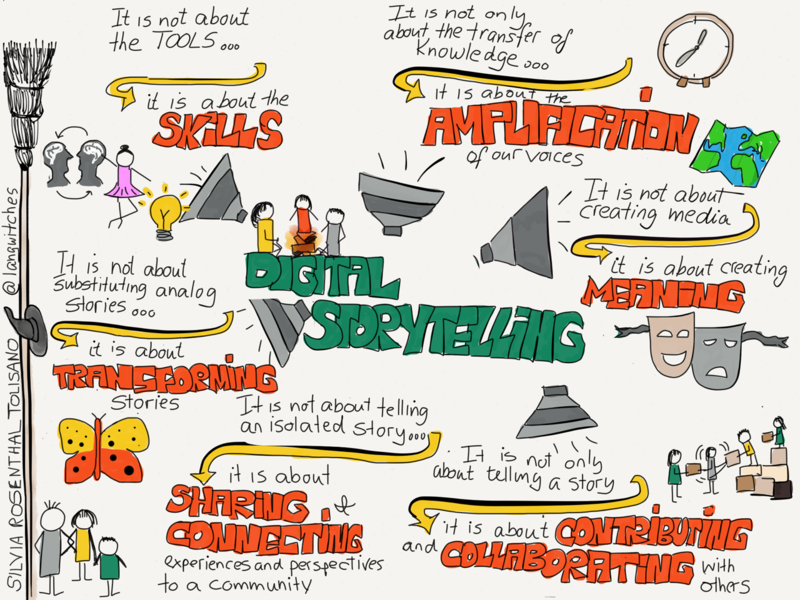 Digital storytelling is NOT just a story told/created/published on a digital platform. What are your experiences and examples in creating new forms of storytelling with digital tools? 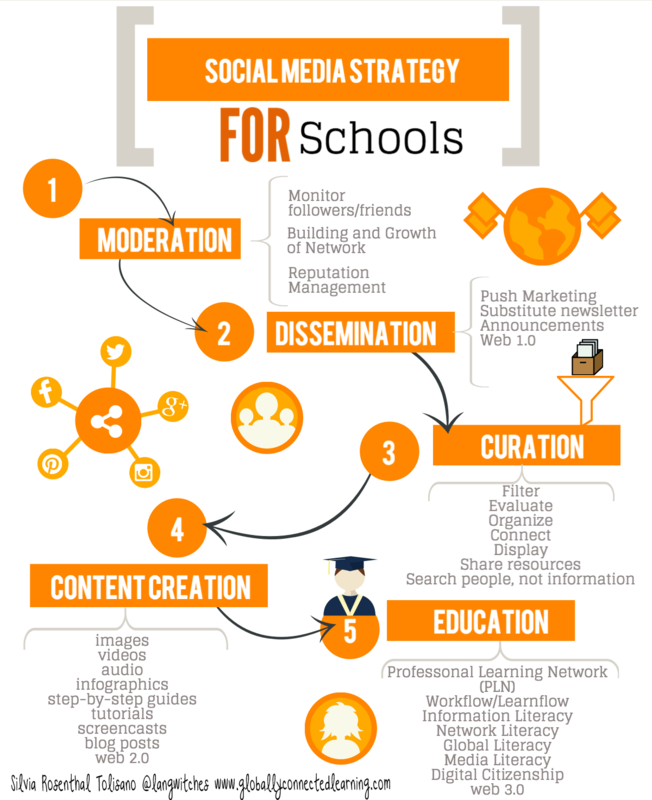 There is a difference between Social Media IN schools and Social Media FOR schools. not allow access to prevent network security issues, institutional transparency, cyberbullying, etc. The quote above begs the question, how schools are leveraging the power of sharing their message via social media and grow their ability to develop shareable content to contribute to a global educational community? Let’s look at developing shareable content for schools through an academic lens and in terms of branding schools globally as a learning community. 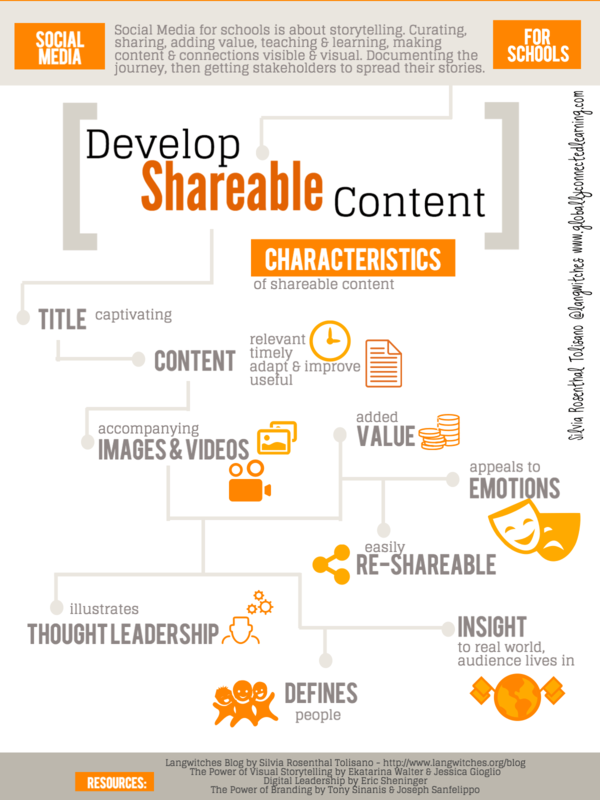 Let’s consider the why, who, what and characteristics of developing shareable content. According to The New York Times Customer Insight Group, there are 5 reasons why people share. How do these reasons relate to the reasons why schools might be sharing? Share school and team spirit and belonging through different venues. How are stakeholders connected to teaching and learning at the school? Who is involved in initiatives and projects? Who is part of the school community? What do we, as a school, stand for, support, believe in? How do we fit in the community? What is our mission? 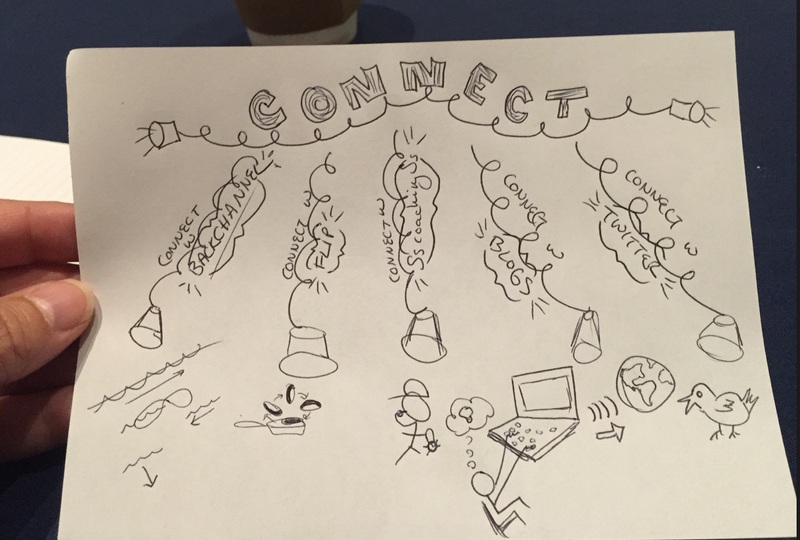 What are our goals as a school community? What are we accepting as demonstration of our core values? Schools share images, videos and other media to provide enjoyment and give an insight to school life, capture teaching and learning as well as share products of student and teacher creativity. Schools spread initiatives and calls to action, encouraging support for variety of causes. Schools are building, growing and cementing relationships with community members, local and global businesses, current and past students, families, faculty, experts, consultants and global educators. 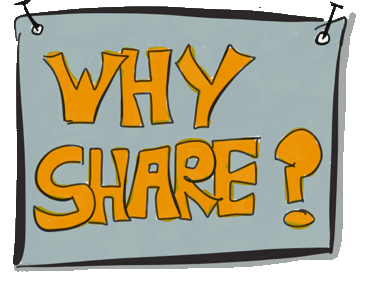 WHO & WHAT TO SHARE? 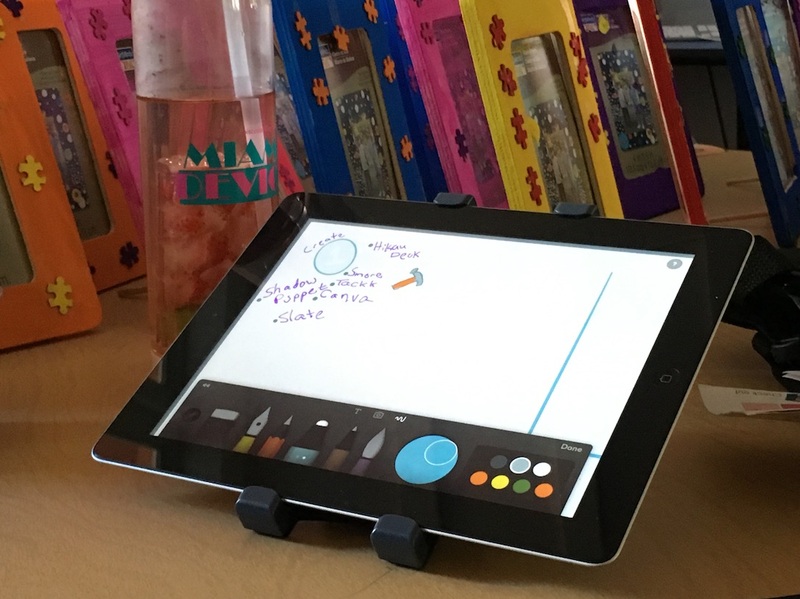 Students document their learning journey through the use of digital portfolios that are visible and accessible to an authentic global audience. Teachers capture evidence of learning (and its process) to inform further teaching. Teachers also share student work and learning to connect globally with experts and peers to amplify learning. Administrators are models of life long learners for their faculty and students. Through curation of resources and reflection of their own learning in progress, they make their commitment visible to others. 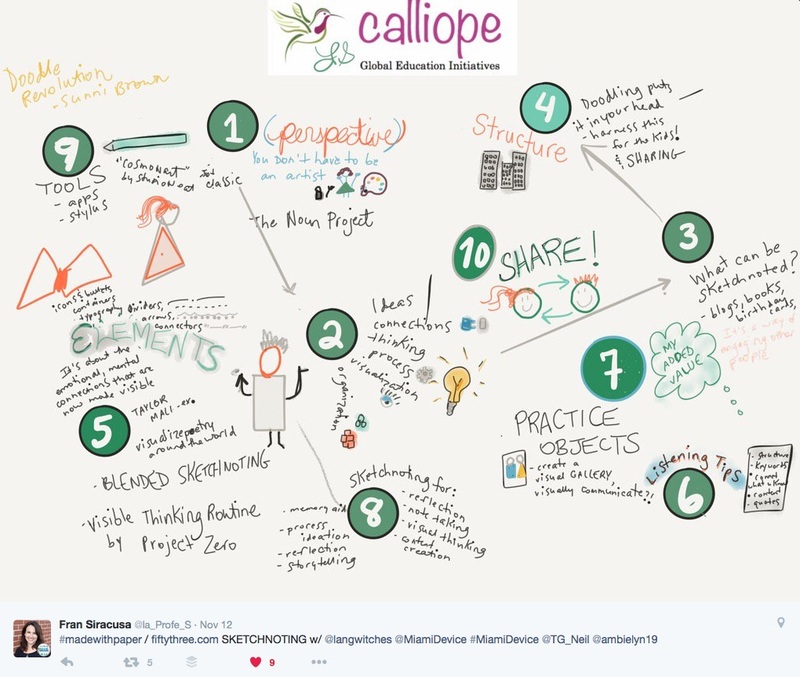 What are the goals of moving a school initiative forward? How will you achieve buy-in from stakeholders? How will you share information about background, supportive resources, progress, successes, etc.? Administrators should be the lead storytellers of their school. Lead storytellers do not leave what is being said about the school to others. They choose, what and how the story of their school community is told. The best marketing tool for any brand is when others share their (positive) experiences with their own network. This type of endorsement is worth more than if it were coming from the brand itself. taking advantage of multiple “points of view” and documenters , gives the audience an amplified perspective and “coverage” of any event. The content must by relevant to the potential audience. Is it relevant to tweet out the school’s lunch menu? (Depends on the audience… students, faculty, parent community… possibly… a global audience… most likely not). Think… Looking to make global connections for your students to participate in a project about the 2016 Olympics? Make sure the content does not get disseminated a few days before the start of the games, but allow time to form these connections. Disseminate content, useful to others, to teach and learn about the Olympics the months before the upcoming games. Our brain processes visual content at a much faster rate than text alone. Statistics support that your audience will be more likely to click on a post if it contains a visual versus text alone. Nothing can be stronger than provoking emotions in your audience to encourage them to share your content with others. What matters most to your audience: their children, their teaching job and career? their education? Career readiness? Safety? Create content that appeal to any of these emotions) Think… fostering loyalty and driving school advocacy. How about about holding a contest for alumni to contribute photos of their years spent at your school or create an infographic about your school’s alumni college success or a video following a recent graduate to a feeder school? Make it as easy as possible for your content to be shared, streamline the process as much as possible for your audience. Make your content available on different platforms to encourage the users of these platforms to share with their network. Think… Have social media share buttons embedded in your posts (Tweet this, Pin This, Like Us on Facebook, etc.). Best if you can make one-click sharing available. We share with others the things that define us? 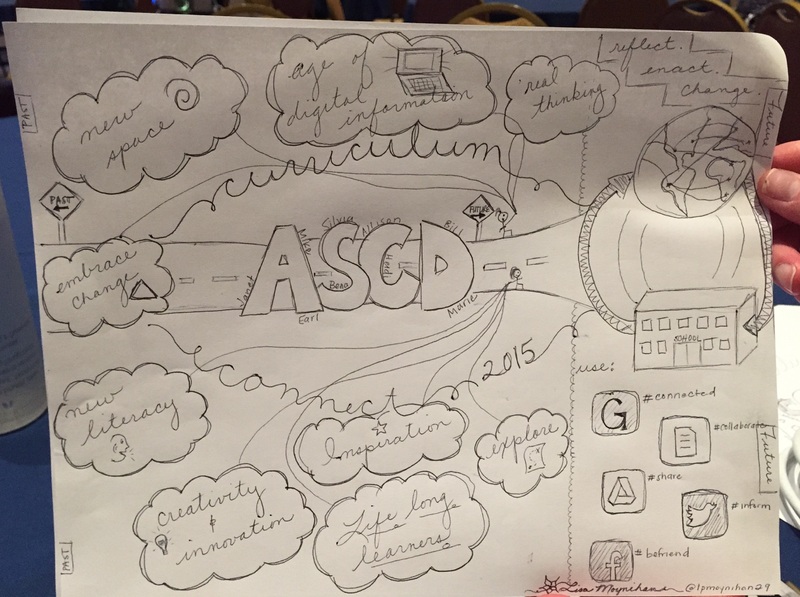 Take a deep look at what defines your school and its community? Is it academics? Is it Sports? A combination? 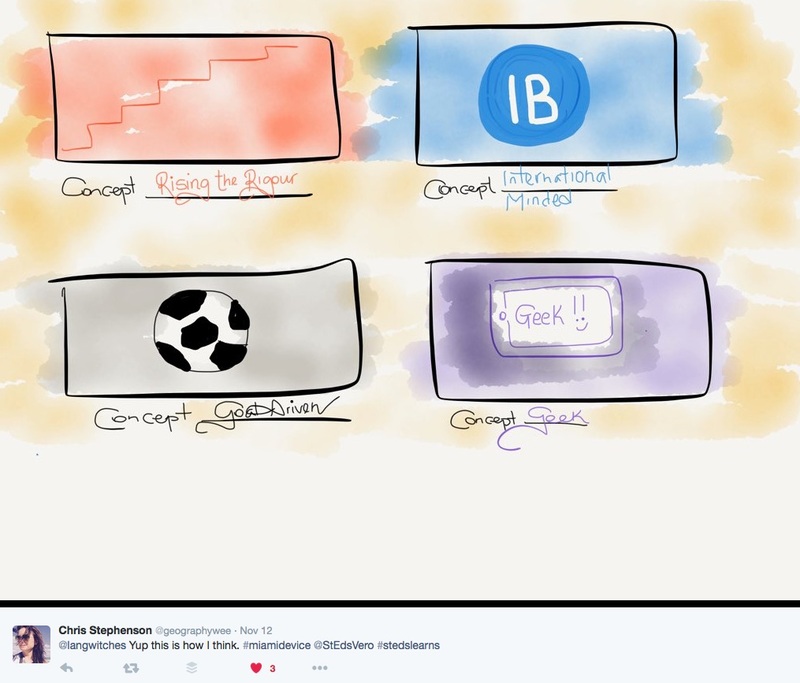 Is your school known for innovation? Show your audience a version of themselves, a way they define themselves or as they want to be seen by others and they’ll be more likely to pass it along to their network. 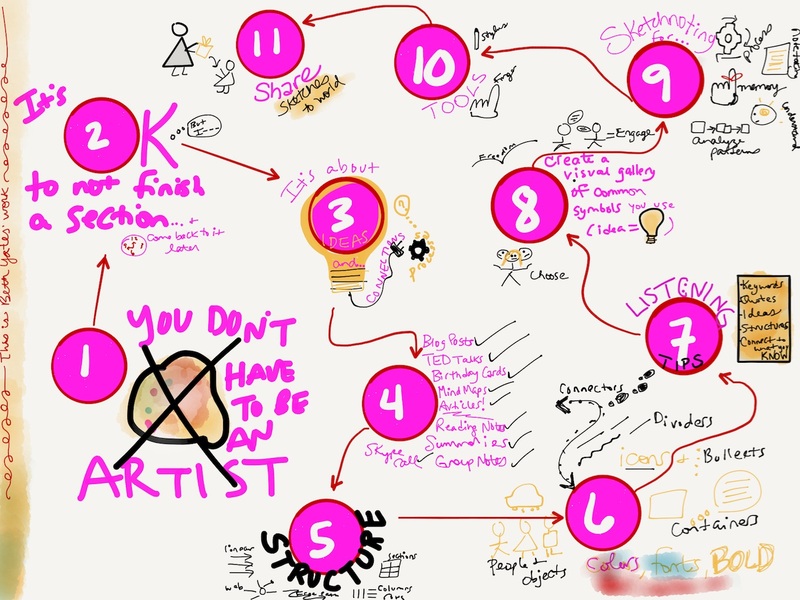 Think… content that demonstrates leadership in innovation among competitor schools. Content that supports the vision of the school employing top educators of the region. We live in a moment in history, where change happens at lightning speed. Traditional pedagogy, tried and proven to be effective for decades, suddenly is proving to not prepare students with the necessary skills and literacies for their future. Every school, every administrator and every teacher is presented with opportunities for action research in any area of educational interest. By choosing to explore these opportunities further, we all are becoming pioneers redefining and transforming teaching and learning. 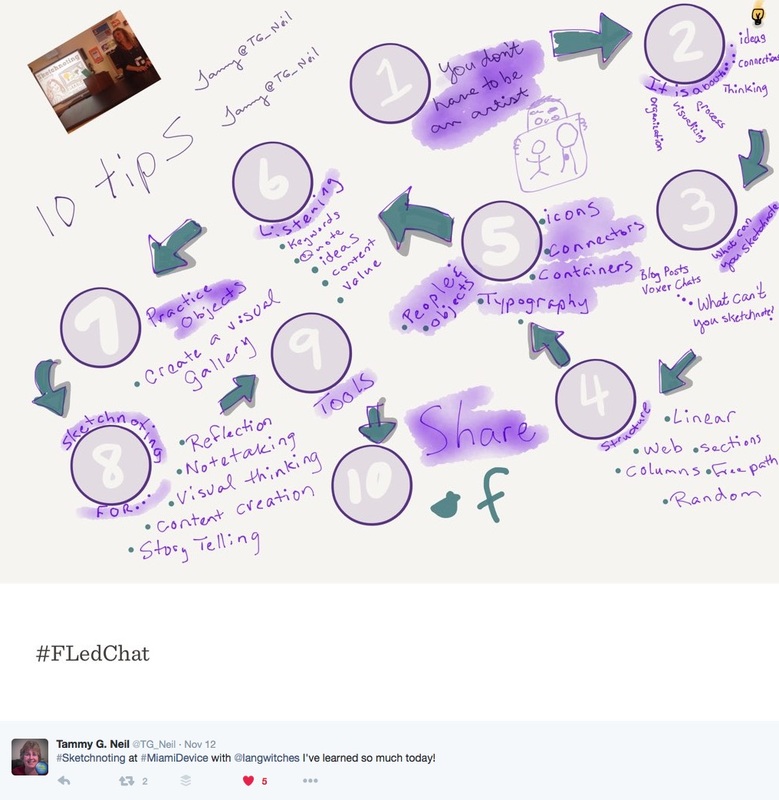 Think… Capture and document the learning process your school is undertaking as you implement digital portfolios. Share content with your audience that demonstrates to them, you have an insight into their real world. Do you want students/parents/teachers to help tell the story of your school, create content that gives them insight into their own world and they will help you spread the word. Think…content that illustrates how to survive pre-teen and teenage years. Create content that guides your students through the selection of high school courses. 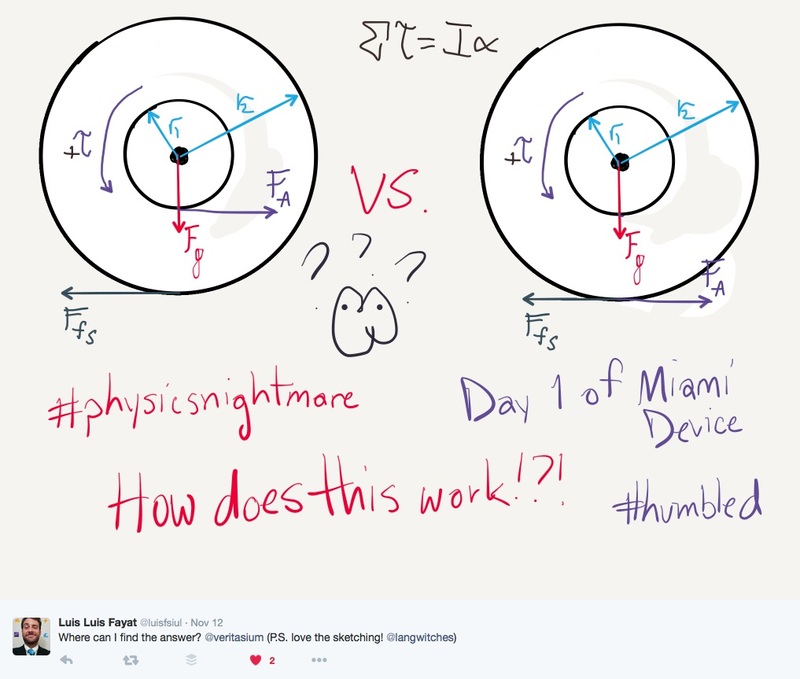 Illustrate how to manage homework load. 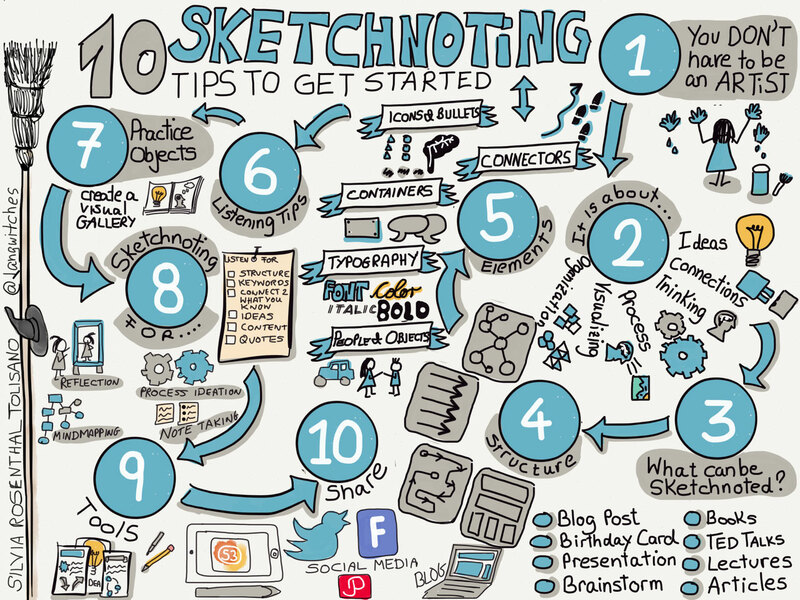 As a reader of my blog, you have followed my journey into exploring Sketchnoting since April 2014. I have come a long way by studying and learning from other sketchnoters: their techniques, their tools, their thinking process, their signature people, objects and metaphors. 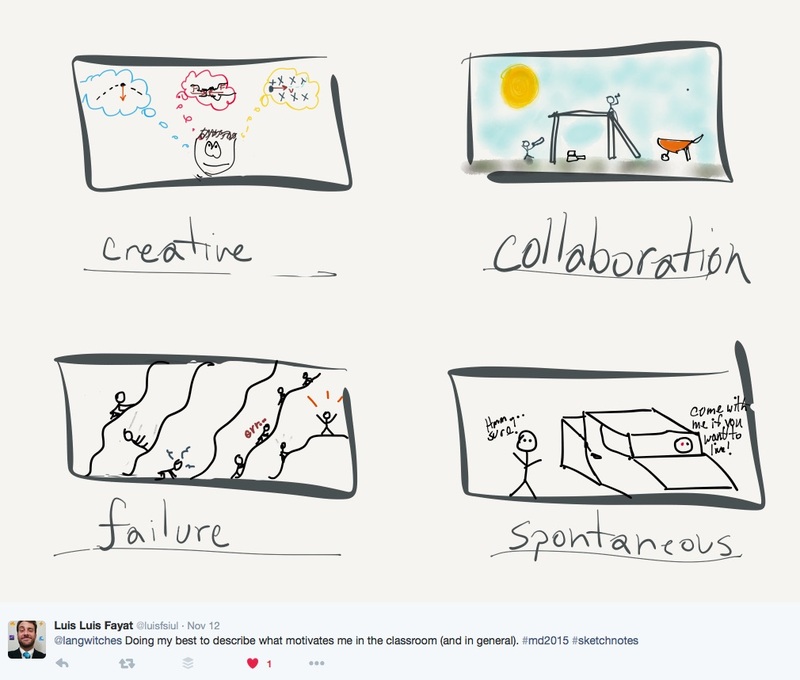 I am experimenting with a variety of goals, as I am sketchnoting, wanting to be aware of how I react to each form in terms of my thinking process and learning involved. 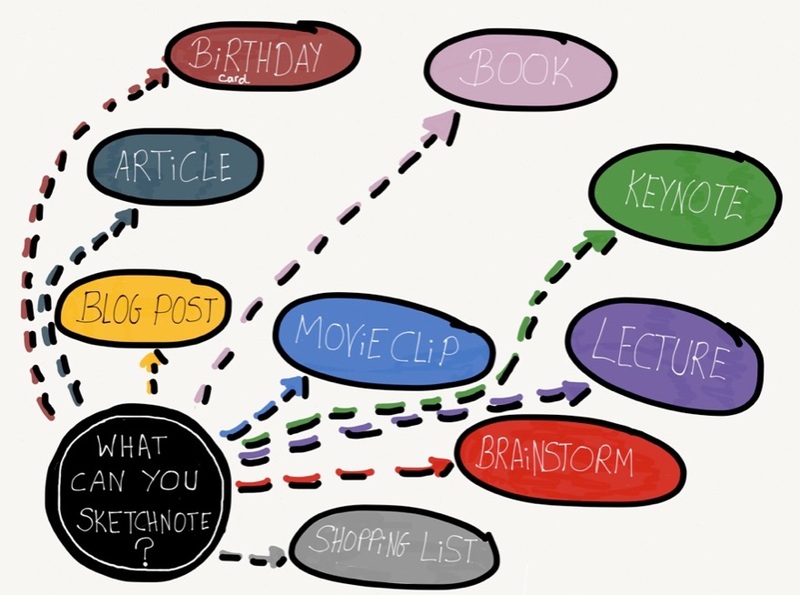 Note Taking: How can we summarize main ideas visually? 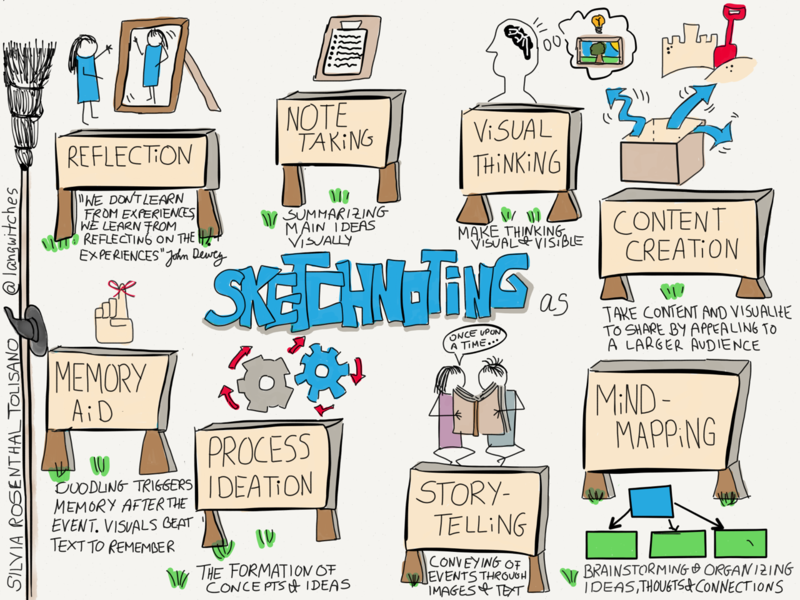 Visual Thinking: How can we make thinking visual and visible to others? 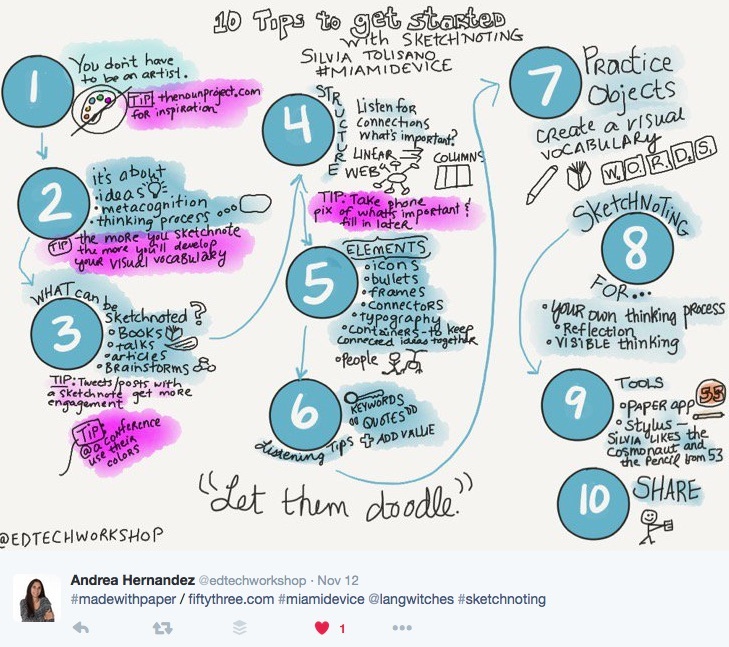 I am specifically intrigued by sketchnoting as a FORM OF REFLECTION. 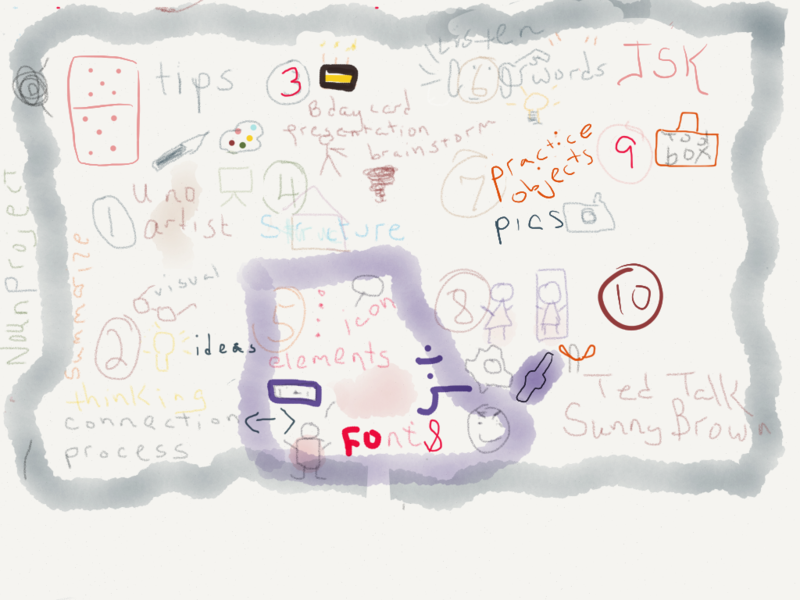 As Visible Thinking Routines (by Project Zero) have proven to be very helpful in making thinking visible, I prepared an easy to follow routine to reflect when sketchnoting. 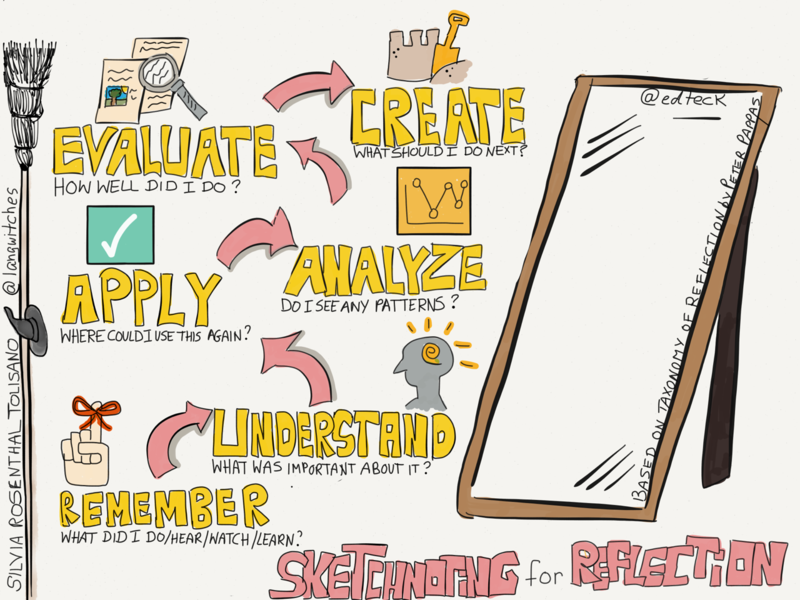 Disclaimer: this is not meant to be a one- size- fits- all reflection routine, just one of many ways one can take advantage of sketchnoting to support a reflection process. How can I apply what I learned? How do I summarize in a Headline what I learned? 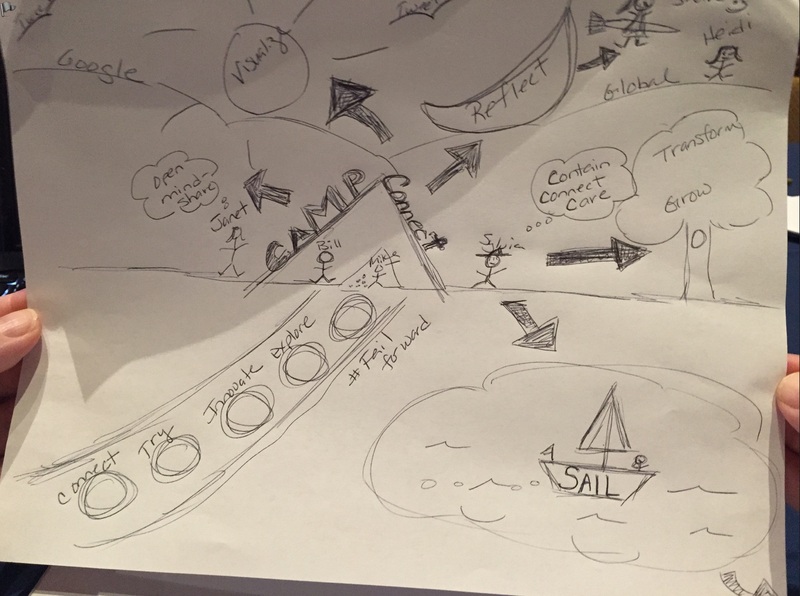 How can I make my thinking visible? How can I represent an idea? What conclusions will I draw? What did I do, hear, watch, learn? What was important about it? Where could I use this again? Do I see any patterns? This past week, I had the opportunity to facilitate a session about Sketchnoting for Reflection at the end of the 3 day ASCD Camp Connect21 conference in Washington, DC. 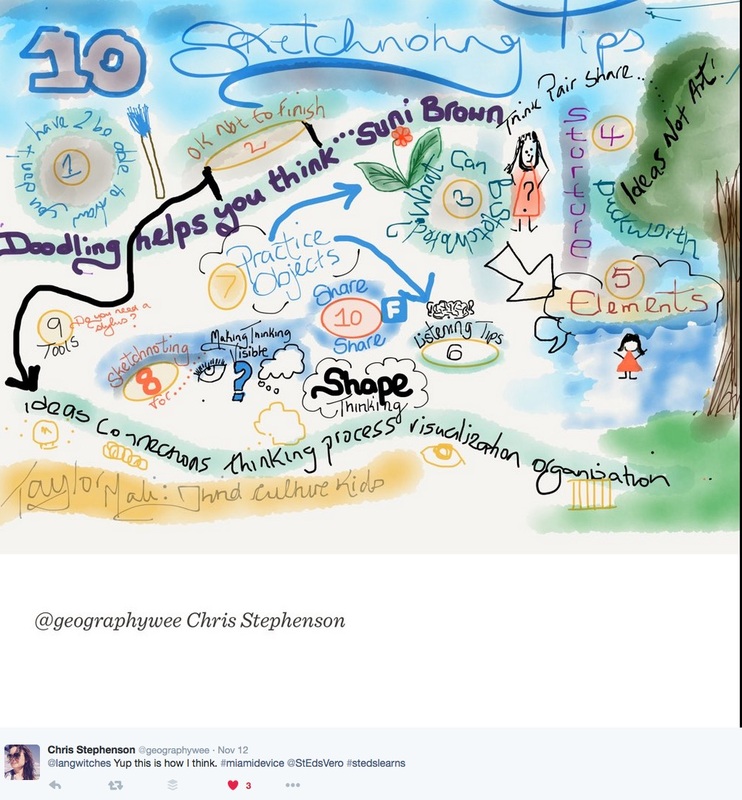 It was the perfect moment to help participants become aware of their thinking and learning process as they reflected via sketchnotes of their learning experience at the conference. Next stop? 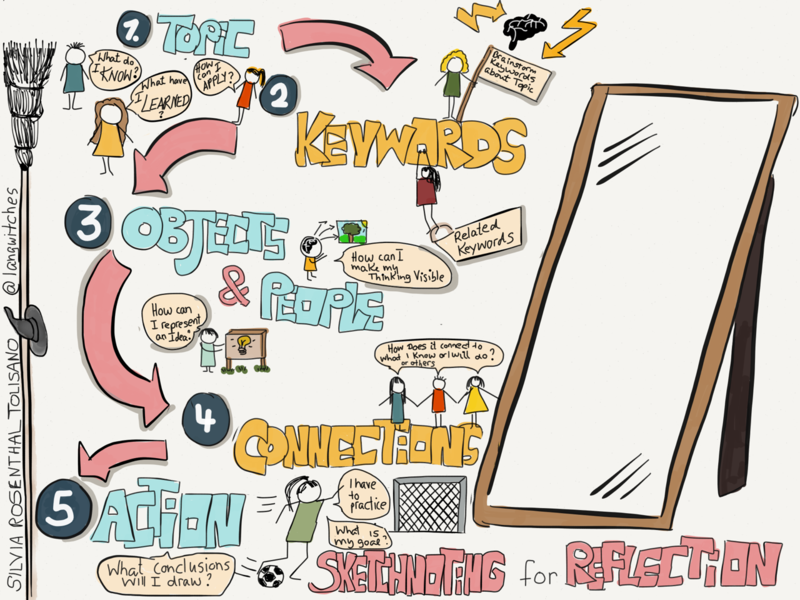 How do we bring Sketchnoting for Reflection to our students as yet another tool in their toolbox. 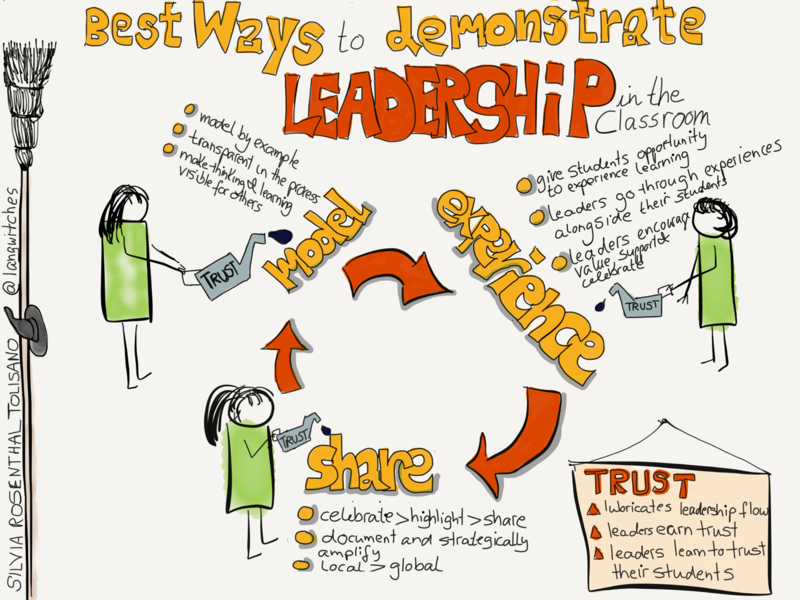 What are the best ways a teacher can demonstrate leadership in the classroom? by Silvia Rosenthal Tolisano. Cross-posted to the Langwitches Blog. 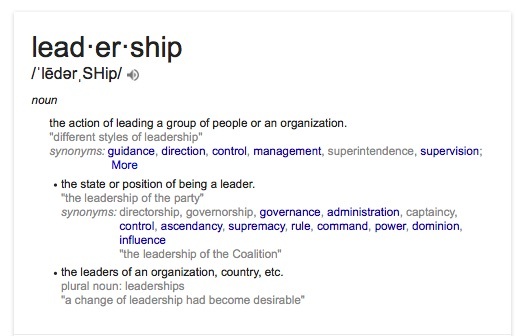 I got hundreds of quotes and points of view WHAT leadership is by searching for the #leadership hashtag on Twitter. Taking these popular notions, quotes, points of view and visuals into account: How does leadership look like in the classroom? What are the best ways a teacher can demonstrate leadership in the classroom? A leader in the classroom models the type of behavior and learning they want to see and encourage in their students. They are transparent in their own learning process, they do not hide mistakes or failures, their make their thinking, learning and process visible for others to reconstruct and follow. Leaders model by example not by ” Do as I say”. A leader in the classroom gives students the opportunities to experience the learning. Leaders in the classroom don’t skip steps because it is easier, less time consuming and possibly more convenient. By the same token, leaders are ready to experience and embrace new situations, new skills, new learning opportunities alongside their students. Leaders put themselves in the position of learners and don’t continue to only draw on experiences from another lifetime (when they were young or from a pre-technology world). Leaders encourage, value, support and celebrate “sticking your neck out” in order to experience new paths. A leader in the classroom is always working on establishing and strengthening trust as an integral component of that leadership flow. Trust is the component that “lubricates” the movement of the flow. Leaders always seek and take advantage of opportunities to gain trust but also learn to trust their students. In 2011, I wrote a blog post, titled Upgrade your KWL Chart to the 21st Century. It described how I learned about a new version of the traditional KWL (What do I Know, What do I Want to know and what have I Learned) via Chic Foote as it snuck in an “H“(How will I find out). That “H” seemed to make the increased importance of the information literacy visible. I ended up on Maggie Hos-McGrane’s blog, which, according to John Barell’s book Why are School Buses always Yellow?, added yet two other abbreviations (“A“- What action will I take and “Q“-What further Questions do I have?) to make up a KWHLAQ acronym. 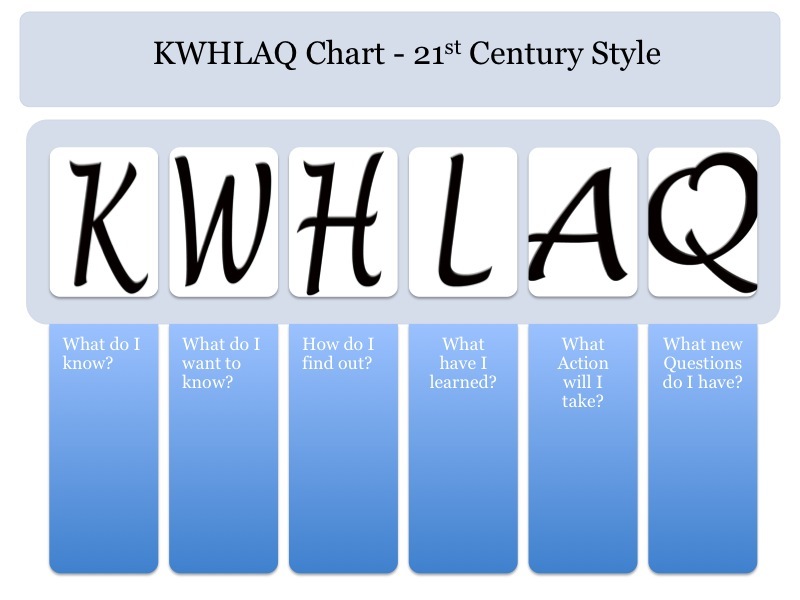 I have also used the KWHLAQ chart as one framework to promote Reflection as Part of the Learning Process, Not as an Add-on. 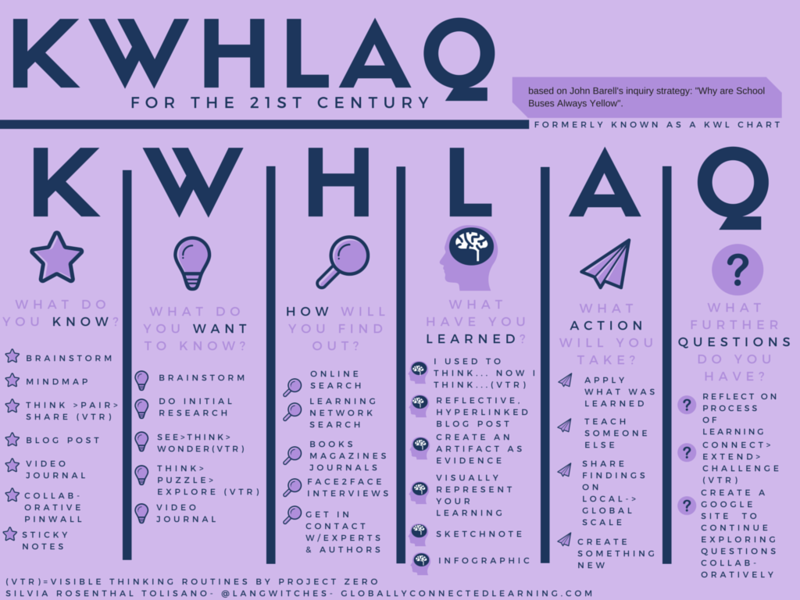 In the following visual below I share ideas of how to embed the KWHLAQ framework in analog and digital activities. I am continuing to be intrigued by John Barell’s original inquiry strategy, how to use to bring awareness and experience opportunities for modern learning skills and literacies. Since Project Zero’s Visible Thinking Routines have been playing an integral part of my continuous work of Documenting4Learning, is was an easy connection to bring in the routines as a strategy in the KWHLAQ flow. What do you think? 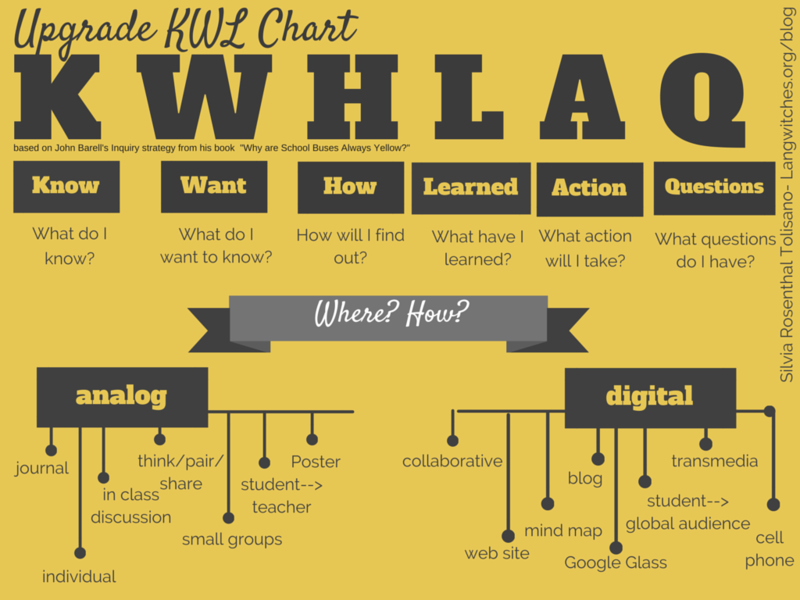 What other platforms, tools and activities would you include and organize according to the KWHLAQ chart? Let’s crowdsource more resources for the use of KWHLAQ for the 21st Century!